Like any good tech company we seem to constantly be coming up with fresh ideas for new products or new applications for technologies. The challenge facing us and thousands like us is how to successfully fund the development of these ideas to a point where they can be integrated into our line up of products and services. Funding for development has traditionally come from one of two sources, we can either fund things ourselves or we can turn to outside investors for help. Whatever method of funding we choose the business case for each product needs to be watertight, after all no sane person wants to plough money into a project without a full understanding of the risks and potential rewards. In 2009 Kickstarter launched in the US and presented us with a completely new way of funding projects and opening up opportunity’s for millions of business’s and individuals. Since 2009 many more sites have joined the party including Indiegogo, Crowdfunder and Rockethub. Recent data from Massolution puts he amount of capitol invested via crowd funding for 2012 at $2.7 billion and predicts that for 2013 that figure will reach $5.1 billion. 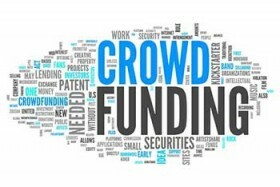 Moving from more traditional methods of securing investment to crowd funding seems like an attractive option but it’s not as easy as it seems. There are a number of very important considerations.